Every medicine that your doctor prescribes has a purpose: to fight against an illness, keep it inactive, prevent it or treat its symptoms, but to be effective it must be taken according to its indications. Not following it to the prescription hope is a cause of up to 50% failure in the treatment of chronic diseases. Your doctor is the only professional trained to prescribe the most effective medications to treat your condition, and determine when and how you should take them according to your age, weight and other variables that make you unique as a patient. 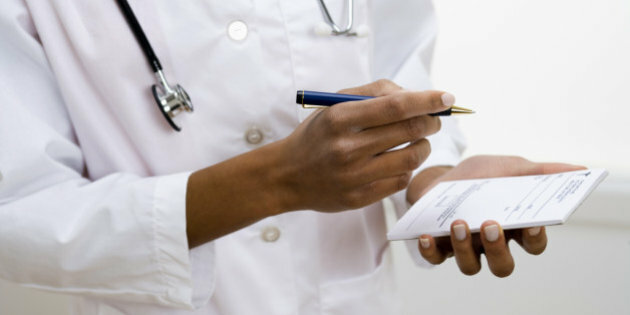 Understand well the disease you suffer:If necessary, write down the name of your diagnosis. The better you understand the cause of your illness, what it does in your body and how is the treatment you need, the better the result will be. Listen carefully to your doctor:You should be attentive when you explain the medications indicated in your prescription and how you should take them. If you have any questions, ask your doctor:What symptoms will disappear and when? What could happen if you stop the treatment too soon? Is there any food or drink to avoid while using the medication? Check that you have filled your medication well at the pharmacy:Make sure that the pharmacist has filled you with the correct medicine and in the amount necessary to take the treatment for the time indicated. Incorporate the medication into your daily routine:If you need to take a medication chronically or for a long period of time it is good that, to not forget to take it, make it part of your days. For example, if you need to take the pill just when you wake up, leave it in your bureau with a small bottle of water, or put it visible in the kitchen if you take it at breakfast, or with your toothbrush if you take it after eating. The idea is that it becomes a habit. Use a pillbox if you take more than two medications:In this way, with only one day a week that you spend 10 minutes ordering your medicines, you will not be confused or doubt whether you have already taken the pill or not, since almost they all come by day of the week. Put an alarm or warning on your cell phone:Especially when taking your medication is at a time when your activities are variable, you can help by setting the alarm on your cell phone. Of course, make sure you take the medication with you. Organize the shots at a comfortable time:If you require a treatment that is taken several times a day, arrange the first shot so that you stay at a comfortable time, for example, if it is every 8 hours a good option would be to take it at 7am, 3pm and 11pm, it will be easier to follow as opposed to having a shot in the early morning hours. Do not expect the box to end up getting another:If you need more than one box of medication, or your treatment is chronic, do not wait until it is finished to get the other one; Anticipate to get it at least 3 days before so that you do not stop fulfilling your shots, especially in diabetes, hypertension and heart or metabolic problems. Never self-medicate:The fact that a medicine works for someone else does not mean that it will be the same with you, on the contrary, it can have serious consequences.